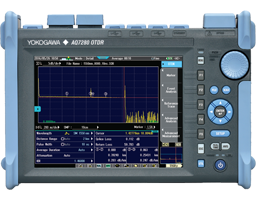 The Yokogawa OTDR Remote Controller enables users' personal computer to remote control OTDR (AQ1000,AQ1200,AQ7270,AQ7275,AQ7277,AQ7277B,AQ7280) via Ethernet, WLAN or USB Interface. 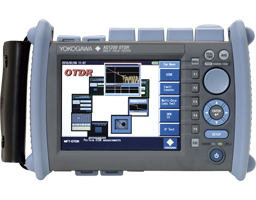 Once the Yokogawa OTDR Remote Controller OTDR is started up on your PC, the control panel is displayed on the PC so that you can remote-control the OTDR as if you do the same on the OTDR itself. 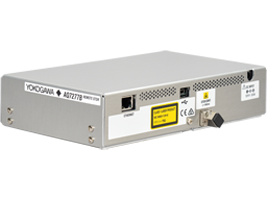 *AQ1000 is enable to connect via WLAN interface. PC on which Microsoft Windows 7, Windows 8 or Windows 8.1 runs. Schedule Analyzer 2: Analyze the change of loss in each section from multiple SOR files stored by the schedule function. Added AQ7280 support for Schedule Analyzer. Added AQ7280 schedule function support. Remote control function; Reforms user interface. Expands applying model to AQ1100, AQ1200, AQ7277. Schedule Finder: Finds the odd trace from a lot of SOR file that was measured by schedule function. Schedule Analyzer: Makes the list of loss calculation from a lot of SOR file that was measured by schedule function. Please download the new software version in zip format (YokogawaOTDRRemoteController***.zip). After downloading and unzipping the zip file, the YokogawaOTDRRemoteController***.msi and other files will apear. 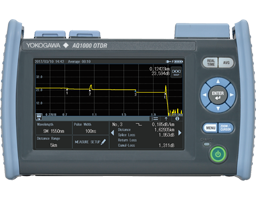 After step 2, Execute the YokogawaOTDRRemoteController***.msi file and install with the Yokogawa OTDR Remote Controller Setup Wizard.